Ugly Sweater Party Customizable Invitation + $130 CASH Giveaway! 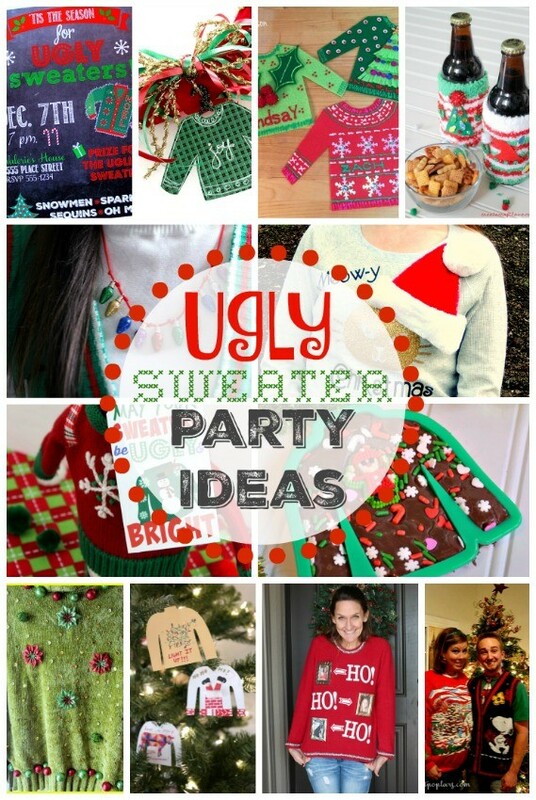 | Occasionally Crafty: Ugly Sweater Party Customizable Invitation + $130 CASH Giveaway! 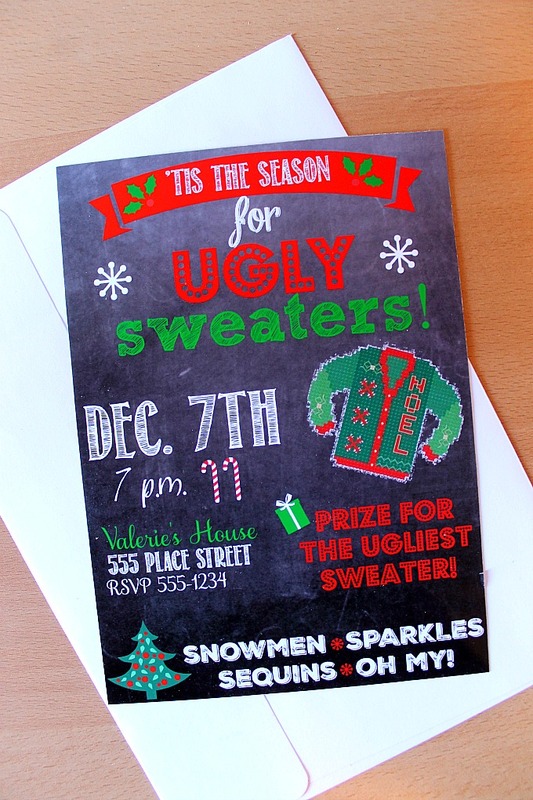 Ugly Sweater Party Customizable Invitation + $130 CASH Giveaway! It's an Ugly Sweater Party Blog Hop! I've teamed up with a dozen of my blog friends to bring you some fun and crazy ideas for your next Ugly Sweater Party! Check out my tutorial below, then check out what my other blogging friends came up with for their Ugly Sweater Party Ideas this holiday season!! And don't forget to enter the giveaway for $130 in COLD HARD CASH below!! Ugly Sweater parties are so much fun! I've always wanted to host one myself. 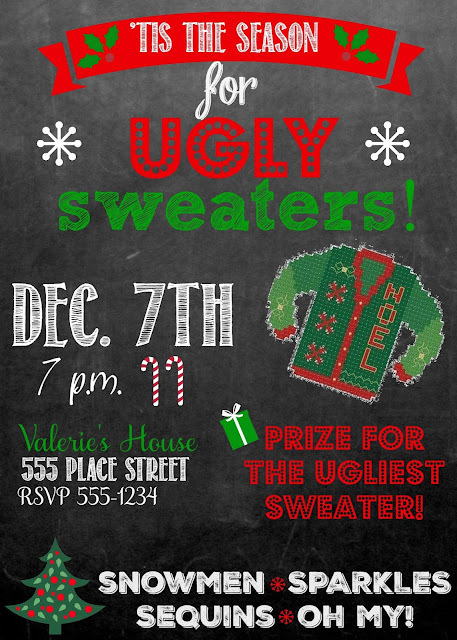 This year I've created a customizable Ugly Sweater invitation for your party! Simply download this file and open it in any photo editing software. From there, use fun sketchy or handwritten fonts for the perfect Chalkboard look. Make sure to include the date and time, the location, and any details about your party that will draw your guests to attend. Your friends will love this cute invitation, and your party will be awesome! 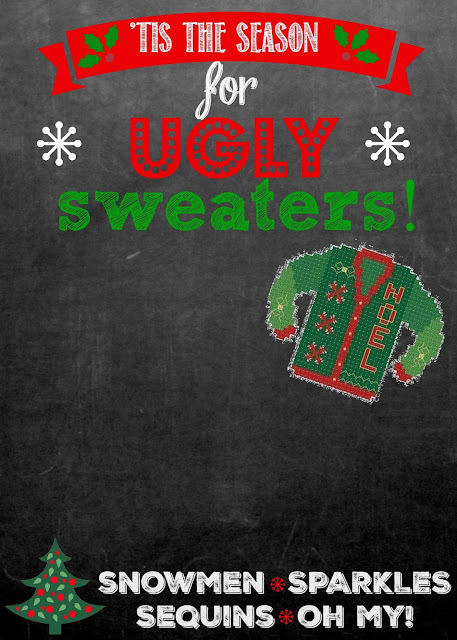 Make sure to hop around and see all the other Ugly Sweater ideas! Giveaway rules: Giveaway runs from Monday, November 30th through December 7th at midnight. Winner will be selected by Rafflecopter and notified via email from thecardswedrew@yahoo.com of their winnings. Winner must have a valid PayPal account to claim cash. Winner has 48 hours to respond via email to claim prize otherwise new winner will be selected. The bloggers involved are not responsible for notifications that go to spam or that aren't claimed in time. Pinterest, Facebook, and Instagram are not associated with this giveaway and are in no way held responsible. All winning entries will be verified and if not complete, the entry is VOID and another winner is selected. Open to anyone with a valid PayPal account. Good luck!